Mal is a computer scientist about to lose his funding. In desperation he challenges a well known academic with the nickname "Dr Love" to a competition to make a woman fall in love, Dr Love vs. Mal's computer. 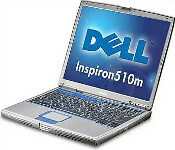 Mal's computer, a Dell XPS, is the machine he hopes will be able to beat Dr Love. Mal takes the idea to his ex-girlfriend who works at a woman's magazine, hoping to get it published. She has a Dell 510m on her desk.